Have you heard? We at Blue Door Consulting turned 15 years old! In honor of that, we have been reminiscing on past successful marketing campaigns. Last time, we talked about three of our best marketing projects, and now we’d like to talk about three more, all of them having a huge impact on their communities. How do you convince a major sports franchise-in less than 60 days-that Oshkosh is uniquely positioned to welcome its new NBA® G-League® team? Well, let’s just say, we were up for the challenge. When Windward Wealth Strategies’ President and CIO Greg Pierce saw that the Milwaukee Bucks® were looking for a new home in Wisconsin for its G-League® team, he knew their new home had to be right here in Oshkosh. He turned to Blue Door Consulting for help. And, we had to act fast. The campaign also increased fan support, asking them to pledge buying season tickets. 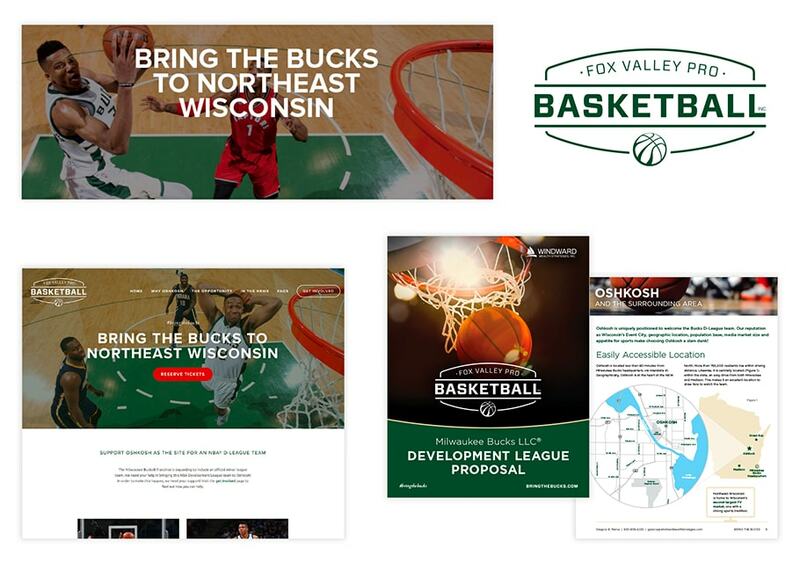 The results from this 60-day campaign speak for themselves: 896 fans reserved season tickets, 125 sponsors and investors expressed interest, and most importantly, the Bucks® chose our proposal and Oshkosh to be the home of their beloved G-League, team, the Wisconsin Herd! Learn more about the Herd and their Oshkosh home, Menominee Nation Arena. The ThedaCare Waupaca Community Health Action Team (CHAT) came to us with an important community goal: prevent teenage drug abuse. To accomplish this goal, they planned a community drug drop that would encourage individuals to drop off prescription drugs at specific locations and to promote drug drop locations at local police departments. We looked at the striking facts: 3 in 5 teens say prescription drugs are easy to get from their parent’s medicine cabinets. 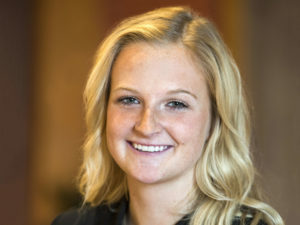 Locally, nearly 1 in 4 Waupaca High School seniors who abused prescription drugs stole them from a friend or relative to get high, sell them or dump them together at dangerous pharm parties. The results of these actions could be addiction, overdosing and even death. We tackled the campaign three ways. 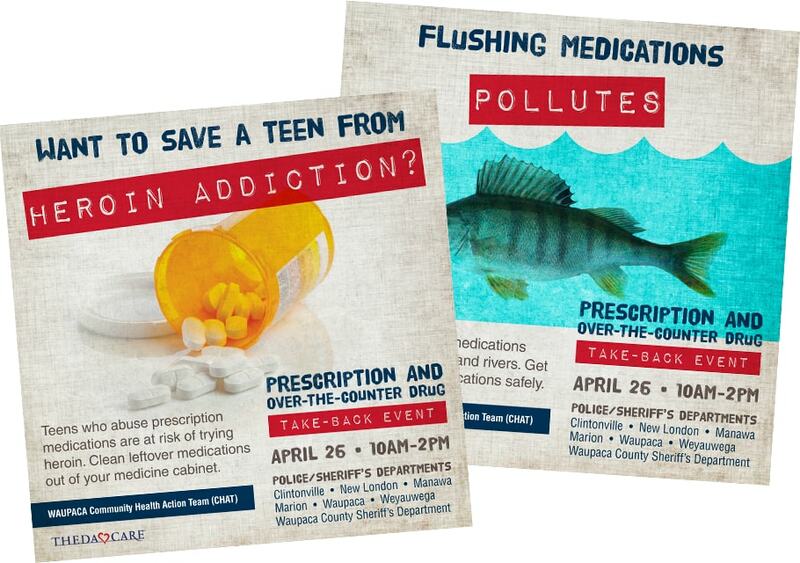 First, we designed school and community posters, then we included these posters with each prescription that was dispensed at pharmacies, and finally, we had major community organizations hop on board to promote the drug drop event six times on their social media channels. The results from the seven different locations proved successful. From the drug drop-off locations in Waupaca County, 5 of the 7 locations significantly increased the amount of prescription drugs turned in. Even better, 4 out of 7 of these locations increased total pounds by more than 50 percent compared to past drop off rates. When a community-wide study about poverty was released, those who read it was struck by this statistic: 1 in 5 socioeconomically disadvantaged high school students will not graduate high school in four years. In an effort to turn this tide, Blue Door Consulting was asked to facilitate a brainstorming session of possible answers to the problem. The brainstorming yielded a seed of an idea that soon grew into the Boy’s and Girl’s Club’s Great Futures Mentoring Program. Through the program, impoverished middle school students are connected with a mentor and given a safe place to go after school. Mentors also helped students with homework, took them on college visits and introduced them to career exploration opportunities. We used a combination of strategies to help bring the program to fruition, including researching existing programs, facilitating a successful program design that would tackle the issues of poverty in the community, generating support through program and funding partners, and measuring the results of all their actions. 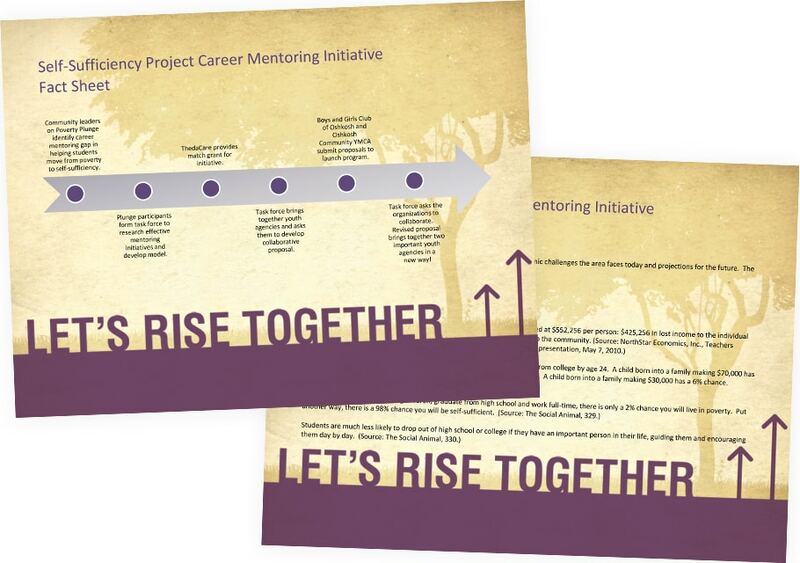 The results proved that the career mentoring program had been successful. Ninety-seven percent of the kids in the program decreased factors that signaled an early dropout risk. Eighty-six percent of the kids did not have any contact with police since joining Great Futures. Finally, 51 percent increased their grade point average from the previous school year. If you have a new marketing campaign in mind, we’d love to help!